Such a special keepsake for the people in your life.....& a great gift idea to ask someone to be a godparent! 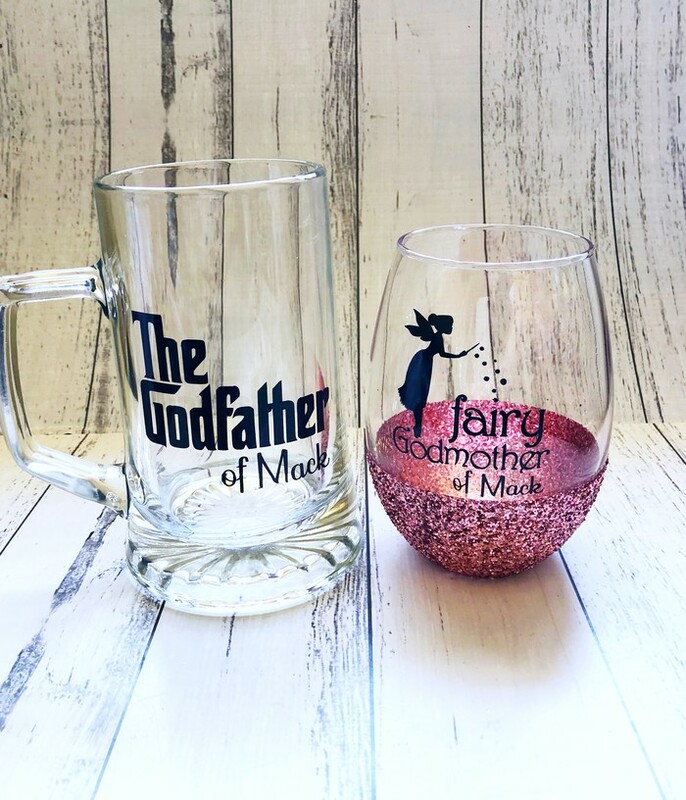 Choose from a large glass beer mug or wine glass, personalised with permanent vinyl. 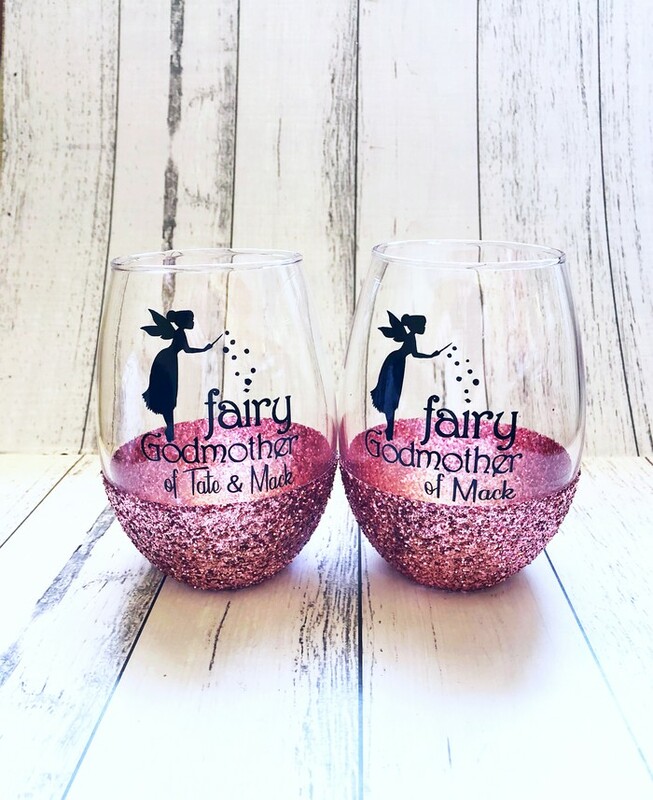 Our glitter stemless wine glasses are the perfect gift for any stylish woman, or for yourself! These wine glass are such a great size and are not just good for wine! 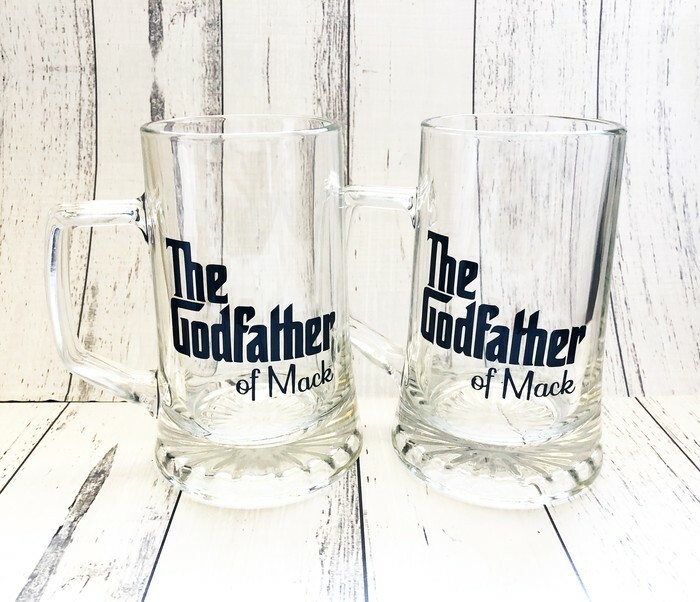 They can be used for water, cocktails, spirits, beer or any other drink of your choice as well! They are so cute and can also be personalized! Choose your own glitter color! The phrase/words can be any color also. Make sure to add specifications to the NOTES section during checkout. Choose Pick up/Local delivery selection in shipping options, so your not charged for postage! Shipping charges apply for the rest of Australia delivery. Discount available if you want to order more than 1!